My adoration for the wines produced by Seavey Vineyard began years ago when I tasted their 2000 Estate Cabernet. Despite being considered a relatively weak vintage by Napa standards, Seavey managed to produce a distinctive wine that was still showing incredibly well at over 10 years old. Their family-run, boutique winery emphasizes quality over quantity and the wines impress for their power, structure and refinement in their youth as well as their graceful evolution in the cellar. My fondness for Seavey Vineyard was cemented when I visited the estate in the fall of 2013. I was hosted by Dorie Seavey and given a tour of the property along with an introduction to the 2009 Estate Cabernet – which was a wholly impressive wine. Ever since, I’ve been a devoted fan and I wanted to share with you their exciting new release: the Seavey Caravina Cabernet Sauvignon 2012. 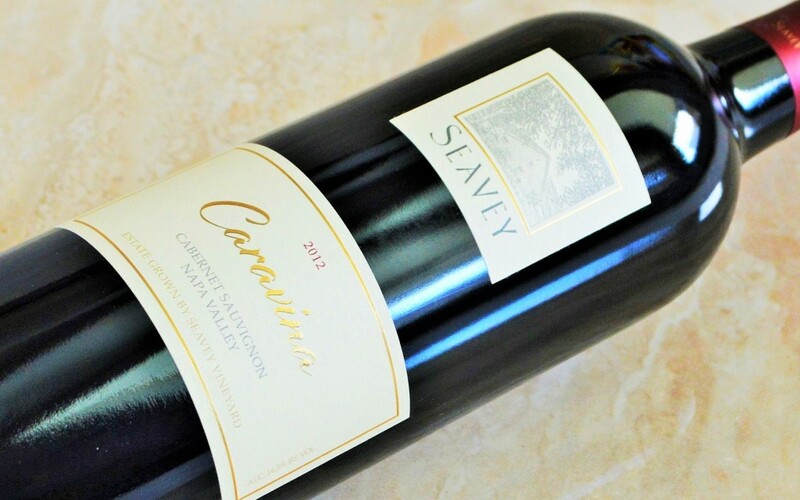 Caravina, a sort of second-wine for Seavey Vineyard, means “my dear vine”, perhaps for its charming approachability relative to the more masculine estate Cabernet. But it’s also a tremendous value, at around half the price of its big brother. While the label has recently changed, the wine is still just as compelling! Appearance: Pours a dark, crimson red. Nose: Very aromatic with sweet aromas of red flowers, strawberry, currant, blackberry, licorice, camphor and a bit of toasty oak. 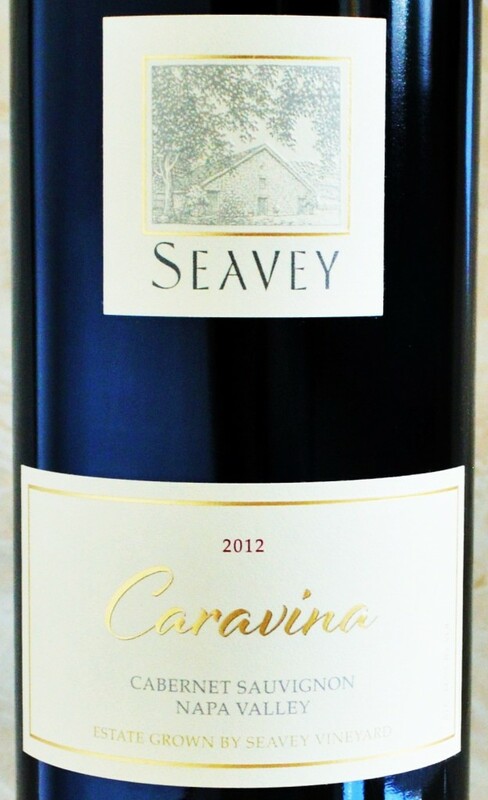 On the palate: The Seavey Caravina Cabernet is medium to full-bodied and delivers a generous texture that’s loaded with pure, intense red and black fruit flavors that the nose suggests. While still very tightly wound the tannins are sweet and supple. It is refined and balanced despite it’s surprising power and intensity for a second wine. It wasn’t until day two that the firm tannins began to give way to more expressive and delicate red fruit flavors. Finishes long and seamlessly with lingering notes of strawberry, cinnamon, licorice and subtle woodsmoke. Varietal Composition: 94% Cabernet Sauvignon, 3% Petit Verdot, 3% Merlot. Should you buy? If you’re looking for first rate Napa Cabernet at a more affordable price point the Seavey Caravina Cabernet is the perfect wine for you. If you already have these in your cellar, give them a few years to evolve. If you don’t have these in your cellar, fix that! Seavey Vineyard not only has access to top fruit from it’s hillside estate vineyards, but top talent as well. Their winemaking team is headed by the talented Jim Duane and none other than Philippe Melka – who has ascended to the ranks of rock star winemaker status in recent years. But before making a name for himself, it was at a small family winery called Seavey Vineyard where Philippe first landed stateside (a native of Bordeaux who previously honed his skills at Petrus). He served as head winemaker from 1995 to 2000 and has been Seavey’s consulting winemaker ever since. While Seavey’s prices have certainly crept a bit in the few years since I’ve been buying them (the Estate Cab has increased from $95 to $125), they are a relative value when you consider that many Melka wines now regularly command several hundreds per bottle on release. 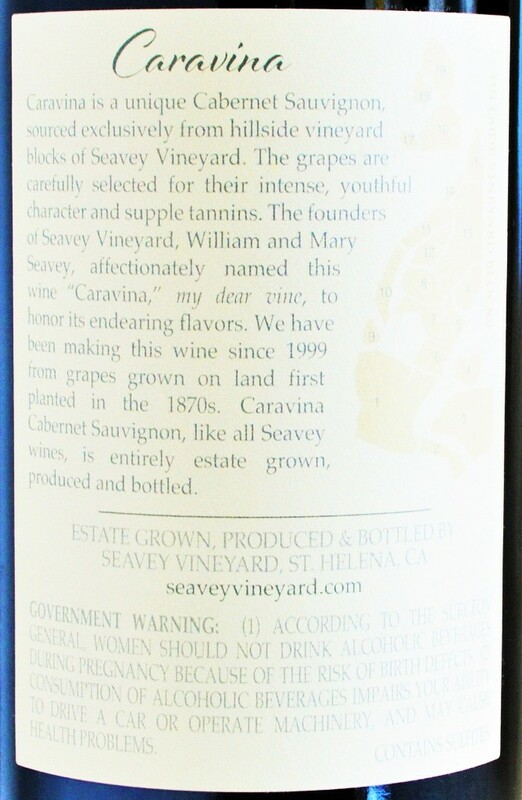 The Seavey Caravina Cabernet has been called one of the finest second wines in Napa Valley by Mr. Robert Parker himself – yet most people all too often make the obvious choice with highly commercial, instantly recognizable names that seem more focused on reflecting a house style rather than producing more distinctive wines which reflect a sense of place. Those wines may be well-made, but the quality of the fruit and the hands-on care that goes into producing each bottle of Caravina Cabernet yields an expressive wine with soul and substance, and that makes choosing it the obvious choice for me. 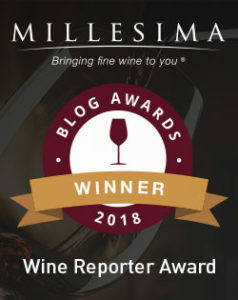 This entry was posted in Between $50 and $74.99 | Reviewed, California Wines - Reviewed, Red Wines, Under $100, Under $75 and tagged Best Cabernet under $100, Jim Duane Seavey Vineyard, Philippe Melka Seavey Vineyard on November 5, 2015 by The Fermented Fruit.